William B. Eerdmans Publishing Company, 9780802871503, 267pp. 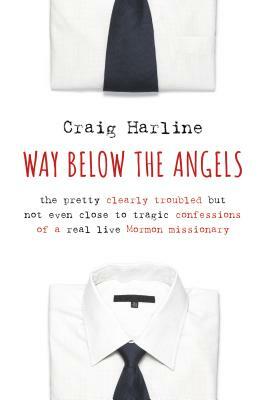 When Craig Harline set off on his two-year Mormon mission to Belgium in the 1970s, he had big dreams of doing miracles, converting the masses, and coming home a hero. What he found instead was a lot of rain and cold, one-sentence conversations with irritated people, and silly squabbles with fellow missionaries. From being kicked -- literally -- out of someone's home to getting into arguments about what God really wanted from Donny Osmond, Harline faced a range of experiences that nothing, including his own missionary training, had prepared him for. He also found a wealth of friendships with fellow Mormons as well as unconverted locals and, along the way, gained insights that would shape the rest of his life. Part religious history, part coming-of-age story, part witty spiritual memoir, this book takes readers beyond the stereotypical white shirts and name tags to reveal just how unpredictable, funny, and poignant the missionary life can be.